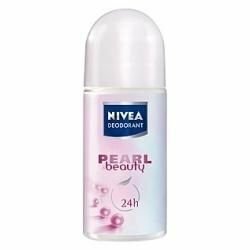 Nivea Pearl & Beauty Roll-On for Women provides 24 hour protection against both underarm odour and wetness. Containing pearl extracts, its formula leaves underarms feeling smooth and looking gorgeous. 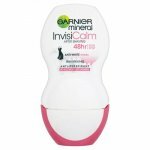 It is ideal for use after shaving and its light scent will leave you feeling fresh. Nivea Pearl & Beauty Anti-Perspirant Deodorant Roll-On is specially formulated to look after delicate underarm skin whilst continuously protecting against perspiration. 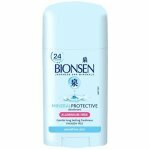 This ladies' deodorant is enriched with natural pearl extracts, to leave delicate underarm skin protected, soft and silky-smooth. 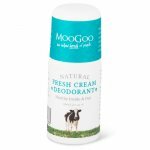 The strong anti-perspirant formula prevents perspiration problems throughout the day, with a 24-hour system to stop excessive wetness and odour, no matter what happens. The pearl extracts help nourish underarms, so they stay soft and moisturised - whilst there's no alcohol or colours in the ingredients, so even sensitive skin won't become tight, dry or irritated. Dermatologically tested to provide round-the-clock care for underarms, Nivea Pearl & Beauty Anti-Perspirant Deodorant Roll-On keeps underarms beautiful, soft and supple, whilst protecting against sweat and odour.